Richmond Book Signing Friday November 2, 2012 – Jonathan Wakefield’s ‘Saving America’ | Virginia Right! I have had the privilege of meeting Jonathan Wakefield on numerous occasions. He is an important ally in the fight for the survival of America. Jon is a Christian first, a family man and all ’round nice guy. Jon will be there from 5:00 PM until 7:00 PM on Friday November 2, 2012. Stop in and he will be glad to sign a book for you. And if you can’t make the signing, I recommend you order a copy of “Saving America” from your favorite bookseller like Amazon. 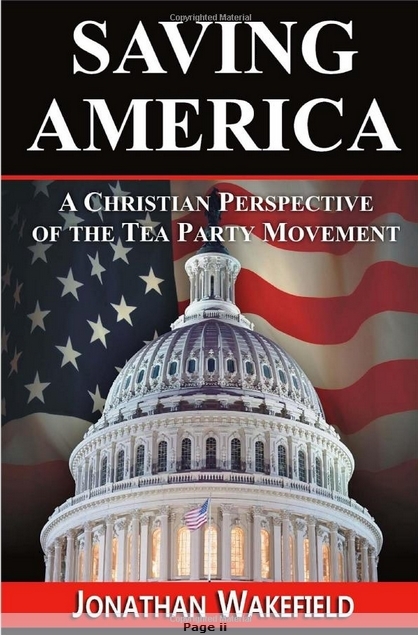 And please visit TEA Party For Christians to see some of the other work Jonathan Wakefield is doing. ← NATIONAL REVIEW’S JOHN FUND: NOT HELPFUL on the EUROPEAN OBSERVERS question!